Voice-to-text apps may seem like a strange concept, but they’re actually quite useful for busy professionals. If you’re always on the go or you think faster than you can write, the special programs can increase efficiency and store your recordings safe and sound via the cloud. Factors that you should consider when looking at voice-to-text apps include accuracy, shortcuts, and available languages. Whether you want to send quick messages or translate on the fly, the apps below are ready to help. 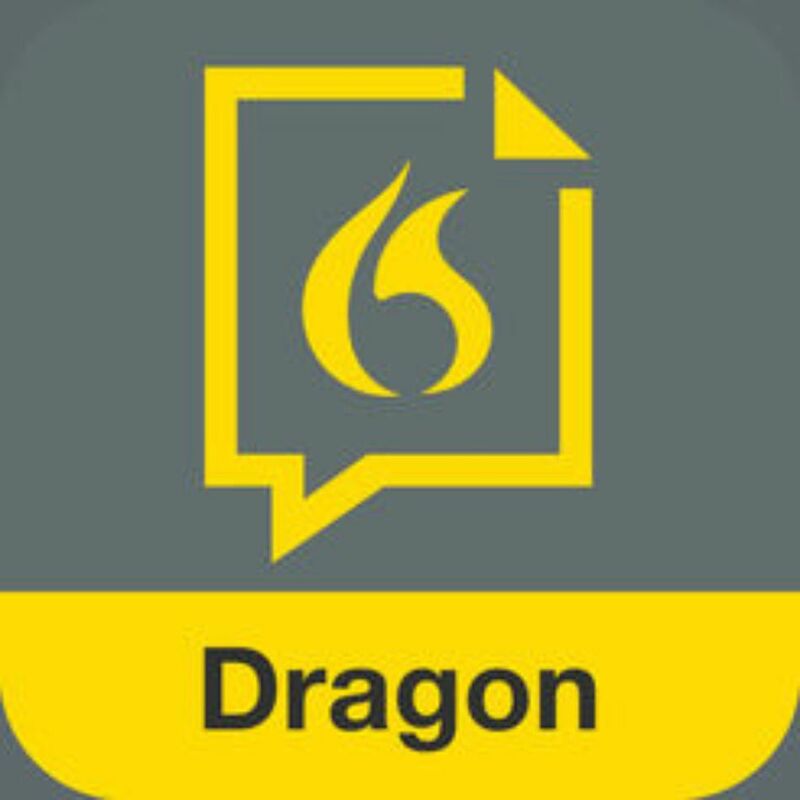 Available for Android and iOS devices, Dragon Anywhere is a premium professional tool that’s a big deal in the world of dictation apps. It’s 99% accurate and comes with voice editing and formatting. Over time, it becomes faster and more accurate as it adapts to your voice. You can use the app for as long as you need — there are no word limits. Dragon Anywhere allows you to customize industry lingo for even more accuracy. After transcription, share your notes by email, Dropbox, Evernote, and more. For supported versions, you can synchronize Dragon Anywhere with your desktop and do voice work on your computer as well. Its accuracy and rich features come with a cost, of course. But the bill could be a worthy business investment if you often think of ideas on the fly or need to record meeting minutes. The application costs $15 per month and $150 per year. For groups, you can contact Nuance’s customer support team for a quote. Google Assistant does a lot, including playing music and opening maps. One of its best features? Voice recognition. Yes, you can use voice command to look up information and tell Google Assistant to do certain things. But the app can also convert speech to text. It sends messages, drafts emails, manages tasks, and adds events to your calendar. While it’s not a speech to text app in the purest sense, it will still help organize your ideas and notes with voice recognition. Use IFTTT (If This Then That) to maximize your Google Assistant note-taking abilities. In one applet, Google Assistant can log all of your notes into a spreadsheet. You can also search IFTTT for other productivity-boosting applets or create your own as you see fit. Journalists or secretaries who have a lot of conversations to track may find this app useful. Using A.I., Transcribe can turn any voice or video memo into a transcription in over 80 different languages and dialects. After recording, you can drop your file in this app and export your raw text into another app such as DropBox. Keep in mind that Transcribe is only available for Apple products with Voice Memo and video since there’s no direct in-app dictation. Transcribe can also get pricey. (That said, it costs less than human transcriber rates, though is more prone to error with a 90% accuracy rate.) Users receive a free trial for 15 minutes of transcription. For every hour extra, you pay $5. For ten hours, you can pay $30. Writers who think faster than they can type will appreciate this app. Speechnotes is excellent for organizing long notes thanks to two special features. First of all, it doesn't stop recording — even if you pause to think or breathe, so you can keep the recording open for as long as needed. Second, you can tap a button or use a verbal command to insert punctuation marks into your work so they won't become too unwieldy. The free app has a small ad banner, but you can upgrade to a premium version to get rid of it. Other perks: It won't clog up your phone space at 4 MB, plus it saves all your recordings as TXT files. Plus, you won’t need to open the app to use it either; you can tap on a widget to access Speechnotes. Keep in mind that Speechnotes is only available on your browser and Android. If you have an idea, but no pen or paper on hand, you can always use your voice. Voice Notes has speech recognition that allows you to create notes efficiently. You can then organize your notes into categories and create reminders by customizing alerts synced with your phone calendar. The interface is intuitive and easy to use; you press the microphone button and speak to record. You’ll even be able to make your notes with the phone screen turned off. The app can recognize up to 119 languages, just in case you need to record notes in something other than English. The app is free, though you can subscribe to a premium plan to support the developer. Of course, there are a few caveats. Voice Notes is a popular app, but the one major limitation is that it's only available on Android phones. Plus, you need to have Google voice search installed to use it, which will take up more space on your phone. Need to send a quick message but find your hands occupied with other tasks? Here’s a quick solution. Using Google’s backend, SpeechTexter allows you to create SMS messages, text notes, emails, and tweets with your own voice. The easy-to-use app supports over 60 languages and has a 95% accuracy rate. You can customize your own commands for punctuation as well. It's possible to use the app when you're not connected to the Internet, though keep in mind that the accuracy lowers in offline mode and the recognition speed depends on your Internet connectivity. To use the app offline, make sure that you install language packs of your preference. Keep in mind that this option is limited when it comes to languages, as you’ll only be able to choose from a dozen major tongues as opposed to over 60. Brought to you by the same developers behind the popular iTranslate app, iTranslate Converse is as close to real-time translation as you’ll get, which is convenient if you need to communicate with clients who don’t speak the same language as you or if you’re traveling abroad. All you have to do is set the two languages. Then tap, hold, and speak into your phone. The app will pick up on the language that you’re speaking, then issue out a translation — yes, even in noisy environments. The app is capable of recognizing 38 languages. After your conversation is done, you can download full transcriptions. It’s not always perfect, of course, but it’s faster than going through a personal assistant app to look up translations for you. While it has a subscription fee, iTranslate won't stretch your budget significantly. When you download it, you'll receive a seven-day free trial. After that runs out, you'll need to upgrade to the pro version for $5 per month or $40 per year. Braina is a personal A.I. that you can use to communicate with your computer through your Android or IOS device. The program can convert your voice into text for any website or software program, including word processing ones. It recognizes most medical, legal, and scientific terms, which makes it ideal if you work in a niche industry with technical jargon. You can also teach Braina uncommon names and vocabulary with ease. Other than learning niche industry terms, Braina also has other helpful voice recognition features. For example, it can recognize over 100 different languages so that it can serve non-English users just as well. The program also includes convenient dictation commands for deleting, tabbing, and casing. The free “lite” version comes with a few dictation offerings, but for full access, you’ll want to upgrade either to Pro ($49) for one year, or Pro Lifetime ($139) for unlimited access. Our writers spent 3 hours researching the most popular voice-to-text apps on the market. Before making their final recommendations, they considered 20 different apps overall, read over 50 user reviews (both positive and negative), and tested 2 of the apps themselves. All of this research adds up to recommendations you can trust.